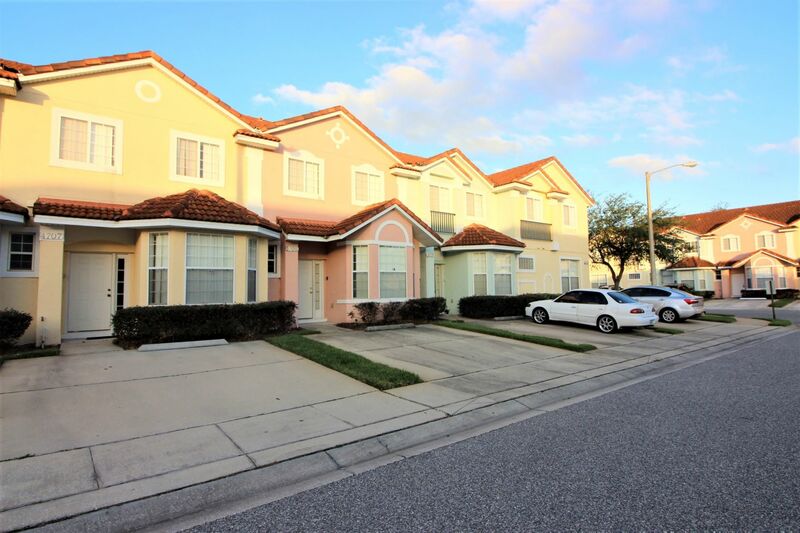 Fiesta Key is just off Poinciana blvd, in Kissimmee, Florida and is perfectly placed for the shops, restaurants, fun and attractions that Orlando has to offer. Fiesta Key is ideally located as a "home base" for other Florida activities including the Space Coast or the Gulf Coast. With 3 bedrooms and 2.5 bathrooms, this fully air-conditioned, family friendly vacation home is perfect for families or for a few friends golfing or vacationing. 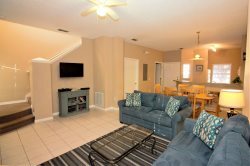 This Vacation Home has a spacious family room with comfy furniture and a lovely reading nook area, flat screen, cable TV, and DVD player to enjoy your favorite movie and free WiFi. The family room is open to the eat in kitchen so that you can socialize while enjoying a great meal prepared in your own fully equipped kitchen. There are patio doors that lead to a cozy patio out the back. The community tennis courts are right outside your back door and its a very close walk to the pool. Spacious sleeping accommodation awaits you with 3 bright and roomy bedrooms. The master bedroom has a queen sized bed and a TV and an attached bathroom. One of the bedrooms has a full size bed, the other has two twin beds. There is a full 3 piece bath with a tub and shower that the bedrooms share. Make use of huge heated pool(3-5feet deep). Make a day of it at by clubhouse pool and enjoy a bar-b-que at one of the provided grills. There are tennis courts and a kids playgound, as well as an exercise room inside the clubhouse. Take a walk around the small pond and watch the birds! Feel safe during your stay as it is a fully gated community. As well, there is a local management company just a phone call away in the event of an emergency. games room, tennis court, BBQ / Picnic area. Telephone for accepting incoming calls. This property has free local calls.